Take the Message and Jump! A common, but dangerous, tendency in translation is to adhere too closely to the source text and miss the mark in the target culture. In this article, Dr. Christiane Nord explains the concept of “taking the message and jumping” into the target linguaculture—which is a combination of culture and language which determines appropriate ways to communicate. She suggests a process where the translator first leaps the barrier separating the source linguaculture from the target linguaculture and then takes a look back to ensure that no meaning or sense has been lost from the source text. All too often, Nord states, beginning translators start with a quick and dirty version of a translation and then hope to mold it into an acceptable finished product through successive revisions. This process ignores the cultural differences in language use, however, and makes the larger shifts necessary for true communication in the target culture difficult to make. 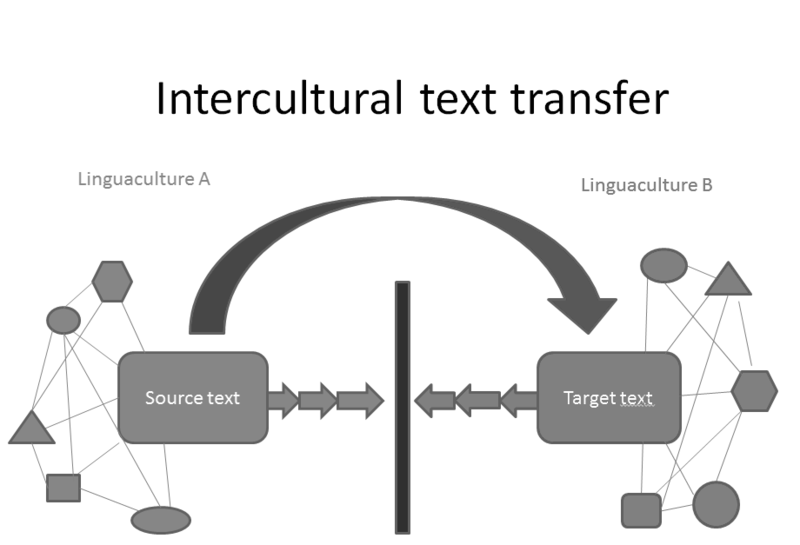 The final result produced by this method does not communicate the message clearly to the target audience and includes “translationese”—vestiges of the source text which are not appropriate to the target linguaculture. A better method for creating high-quality translations is to first jump the barrier that separates Linguaculture A from Linguaculture B (target). Like with horses jumping, this cannot be done from standing directly in front of the culture barrier; you must have momentum. Gaining the momentum needed to leap across the barrier requires, among other skills and abilities, complete mastery of the target language, so that as a translator you are keenly aware of constructions that fit in the source but not in the target. It is also important, Nord writes, to relate the translation to other texts in the target culture repertoire so that it can be fully accepted as a text in its own right rather than an inadequate version written in “translationese”. However, this leap into the target linguaculture may sometimes cause us to leave out important aspects of the source text that should not be forgotten, and so one final and critical step of the process should be to look back at the source and ensure that no key elements have been neglected that would cause your translation to fail to meet the requirements set forth in your brief. Further revision thereafter will help to refine your text into a translation that is practically useful and of high linguistic quality. The entire process is well summarized in an image given in Nord’s article and reproduced above. First, the arrows from the source text towards the culture hurdle show an attempt to make a crude translation and then fix it. After that, the arrow arching across the figure shows the translator taking the message and jumping across the culture hurdle with it. Finally, arrows work back towards the hurdle in an attempt to look back and regain what was lost in the jump. While it may seem risky, jumping the hurdle from the source to target will allow your translation to thrive in the target linguaculture. 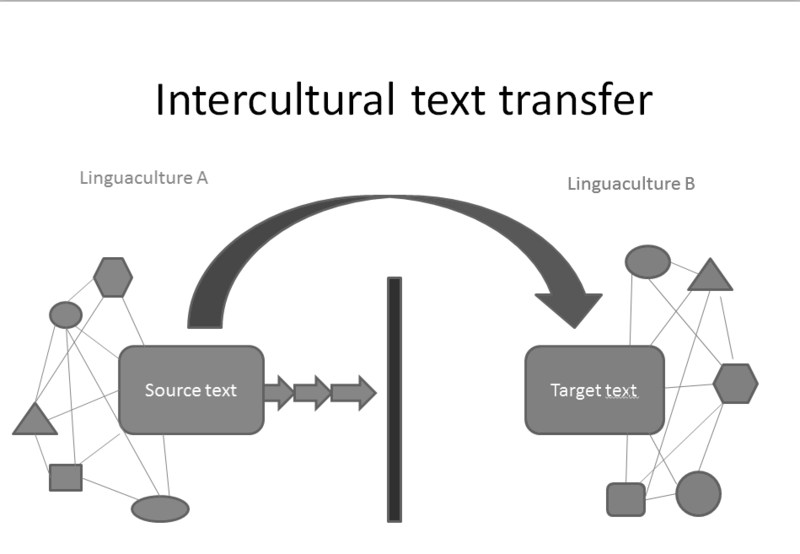 It will have the chance to relate to the textual models that are already in place in the target linguaculture, rather than getting stuck in the mud, too closely bound to the source when your real goal is to produce a functional and fully adequate target text. Please scroll down to read the full article by Christiane Nord. Click here to download the full article in PDF format. About Cynthia Eby: Cynthia Eby is a recent graduate of Seattle Pacific University (Class of 2015) with a major in linguistics and cultural studies and a minor in Spanish. She currently works as Gaucha TI’s assistant and lives in Portland, OR. Many beginning translators fall into a common trap: they produce a quick first draft closely mirroring the source text, and do not make revisions to adjust for language and style until afterwards. They build on this first draft with two or three or more drafts, depending on the time available before the deadline forces them to submit the final product, regardless whether they are fully satisfied or not. However, the task of translation is not simply converting words from one language to another. Both the linguistic and cultural context—which together form a linguaculture (see Definition 1)—must be taken into account to achieve the ultimate goal of conveying a message effectively from one linguaculture to another. A unit formed by both language and culture in which the use of language, along with other modes of communication such as body language, is determined by the people who use it according to cultural norms and conventions. Let’s flesh this concept out some more. Imagine that someone in Linguaculture A wants Text X translated for a specific audience in Linguaculture B and orders a translation. Text X therefore becomes a source text. The arrows in the image below (Figure 1) represent the successive steps from the first draft to the final product. If there is not enough time, the final product can end up not only imperfect but far from adequate, failing to make it across the culture hurdle even though it switches between languages. 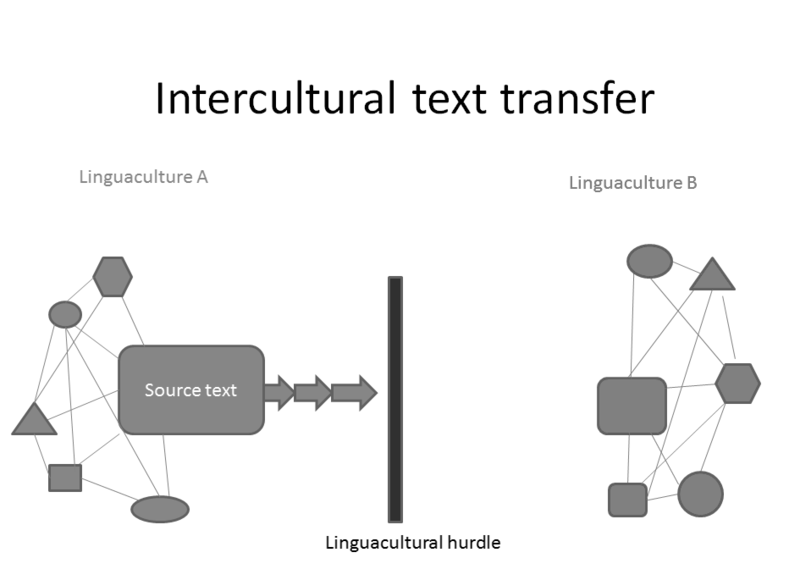 An example of this method, as well as an explanation of how to bridge the linguaculture gap, can be found in a set of texts taken from my book Text Analysis in Translation. The original text is in German and the quote below is from the fourth edition (2009). The text was first translated into English from German (1991), and the revised second edition (2005) is quoted below. Next, the text was translated into Spanish, also from the German (2012). Finally, a Brazilian Portuguese translation is in progress, using the English as the source. This translation is still a draft—as evidenced by the exclamation marks used to point out some imperfections. All of these texts are reproduced below (see Figure 2, on page 3). We will consider these translations from the perspective of linguacultures, beginning with Portuguese and continuing with English and Spanish. The Brazilian Portuguese text shows the problems that can occur if you work your way very slowly from a first draft towards the culture hurdle. There is a poor interpretation of the syntactic relationships between lexical units, such as um conceito de textualidade orientada para tradução (“a concept of translation-oriented textuality” instead of “a translation-oriented concept of textuality”). Other errors include a few missing articles because the English source did not have them (for translation – para [a] tradução, communi­cative signals – [os] signais comunicativos, non-verbal elements – [os]elementos não verbais); an awkward word order (apenas is placed at the end of a clause, copying the syntax of the English and disregarding that of Portuguese); a missing comma; another comma that is superfluous; a period separating two parts of a sentence that form a single unit of thought, etc. These errors lead to a message that does not make any sense at all. All these small details show that the translators closely followed the surface structure of the source text without thinking about the message itself. The translators did not jump over the culture hurdle but rather stayed in source-culture territory, as evidenced by the erroneous words tradução de Nord (“Nord’s translation”) in parentheses after the Portuguese translation of the Kallmeyer quote. Obviously, this translation was not produced by Nord but by the Brazilian translators, who saw that the English source text was marked as “my translation” because I myself had translated the text from German to English. On the other hand, the English and Spanish translations of the German original show the development of my own ability to jump over the culture hurdle. I translated this text from German into English in 1991 and from German into Spanish nearly twenty years later. The quote is a case in point. The German original reproduces the quote in its original German form and then paraphrases it, specifying the different verbal and non-verbal meanings we find in a text. In the German text, the goal of the quote is (1) to demonstrate that the author of the book has read the existing literature on text linguistics (relevant in 1988), one of the requisites of scholarly writing, and (2) to give the readers the opportunity to look up the original context of the quote themselves. In the English translation, I translated the quote in its entirety. As a result, it still meets the first goal by demonstrating scholarship, but the second goal cannot be met, given that the book edited by Kallmeyer is in German, and the readers of the English translation would find it difficult or even impossible to find the quote, let alone read and understand the German context in which it appears. But at the time, I did not have the courage to simply omit the quote. In the Spanish translation—which was done when I had far more experience—I did not translate the actual quote. Instead, I simply expanded and restructured my own paraphrase. The text was still able to meet both of its original goals because later the text would use an indirect reference (cf.) to Spillner, another German author who dealt with the non-verbal aspects of texts, to demonstrate the author’s knowledge of the literature. Comparing the English and Spanish translations to the Portuguese version shows one thing very clearly: even after two or three (or four) revision phases, the Portuguese text is still part of culture A (German), although it is written in language B (Portuguese). It has not crossed the cultural gap between A and B and will never be able to do so if it does not take the leap from linguaculture A to linguaculture B. Have you ever watched a horse jump? When the horse stands right in front of the hurdle, it will not be able (or willing) to make the jump. It needs to gather speed from a certain distance—you could also call it “courage”—and then jump across the obstacle with verve. The same thing needs to happen in translation, as illustrated in Figure 3, where the message leaps over the culture hurdle from the source text to the target text. On the other side of the hurdle, the text will become part of the target linguaculture—not only with regard to language but also with regard to its cultural aspects. Now the target text can establish relationships with existing texts in linguaculture B, in the same way that the source text was related to the other texts of the source culture repertoire. These networks of texts are specific to each culture, usually containing texts which are both non-translated and translated from different linguacultures, short and long, borrowed and stolen, interesting and boring. One of the cultural aspects which a translated text becomes part of is the classification of texts in sets according to different criteria, which can vary from one linguaculture to another depending on what kind of text it is. In some cultures, translated and non-translated texts would be included in the same set if they belong to the same text type, whereas in others, translated texts would be grouped in a separate set, perhaps with sub-sets like “texts translated from Chinese” or “texts translated from Russian”. There could even be empty sets. Think of a culture that does not have any translation from Icelandic—there may be an empty box or set waiting for the first translation to drop in. After the first text is placed in the box, later translators of texts from this source linguaculture will probably use the earlier translations as a model or at least as a frame of reference for solving certain translation problems. 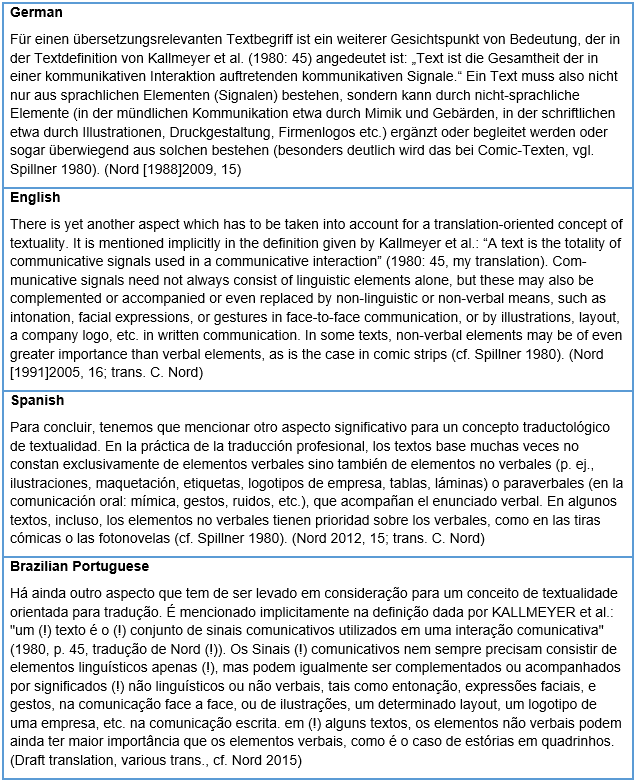 The more translations there are in a set, the more probable it is that all translations from this linguaculture will display certain common features which then may be qualified—or disqualified—as “translationese”; that is, displaying typical features of translated texts which are not found in non-translated texts. Even if a linguaculture does not categorize texts based on their linguaculture of origin, we all know that certain features of source languages creep into the target language in translation, and they often come to stay. This happens both with regard to vocabulary and, although not as easily, with regard to syntax. Some of these features fill a gap in the target language, while others are regarded as “bad habits”, at least by purists, such as the use of English “cleft” constructions (it was John who told me about it) in German or very long and complicated sentences common to German in English. These borrowings can be either ridiculous or helpful, depending on the function they fulfill and the attitudes of the target linguaculture. Some are simply ridiculous because they show that you have not mastered the specific capabilities of your own language (in German, the prosodic rules allow emphasis on any sentence part, as in John told me about it—no need to change the word order for emphasis). 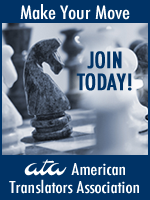 Others are useful since they fill terminological gaps or make communication easier. One example is the strong audience-oriented approach in relation to scholarly texts, which is typical of the Anglo-Saxon academic style. The influence of the audience-oriented approach is slowly revolutionizing the impersonality of the German (or “Teutonic”) academic style, which is characterized by nominal and passive constructions that do not establish any relationship with the audience. For example, the use of the first person singular “I”, which was an absolute taboo (an infringement of the convention of modesty) when I was a student, has become rather acceptable in German academic discourse today. This change is probably appreciated by newcomers to a discipline who have to work their way through a heap of scholarly literature. As we can see, whether or not a translation is considered acceptable in spite of some traces of translationese—or even because of them—depends on the target culture and its attitude towards translated texts. Moreover, the question of whether adaptation to target culture standards is desirable or necessary depends on the purpose of the translation. Because of these attitudes, we must revise our graphic again to take a closer look back at the background and purpose of a translation. 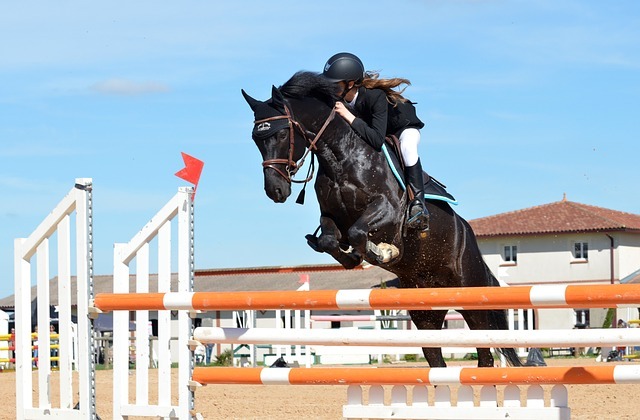 The jump in Figure 3 may be too wide, or during the jump you may have lost something from your saddlebag which, according to your translation brief, should have been carried across to the target linguaculture. So take a look back to make sure that your target text fulfills the requirements of your brief (see Figure 4). You may even need to make two or three or more revisions, as Figure 4 shows, but when you compare the results of this procedure with that of Figure 1, you will see that they mainly differ with regard to their cultural environment. In the process depicted in Figure 1, the culture hurdle was not even reached, let alone overcome. In the process represented in Figure 4, we have produced a target culture centered text that still reflects certain elements or features of the source text. A final example will help us to learn how looking back can be useful to check the quality of a translation. 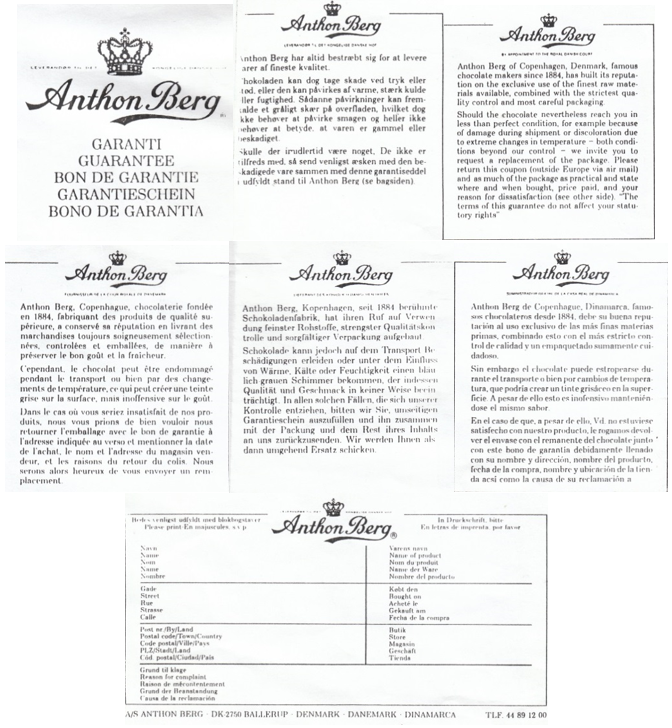 The guarantee of Anton Berg chocolates, a Danish company, is translated into English, German, French, and Spanish in Figure 5 (on page 8). Let’s take the translations and look back at the Danish source text to observe how this method can be useful. There are problems with including too much and with not including enough, as well as examples of well-used generalizations and specifications. One initial example of including too much can be found in the English translation. It says that if you have a complaint, you should enter the price you paid for the chocolate. However, there is no place to write this on the form for the customer to fill out. This makes the text incoherent. Here, the English translator jumped too far and should delete the item after looking back. The Spanish translation, on the other hand, includes too little and ends rather abruptly in the middle of a sentence, without specifying where to send the damaged product and that you would get a replacement for it. Perhaps this was the fault of the translator, or perhaps the Danish typesetter, who, not understanding Spanish, simply deleted the end of the sentence because the layout did not allow for more text. Even if a client can figure out where to send the package and assumes that he or she will receive a replacement, the company’s image suffers because this type of text presents the company in a negative light, since an incomplete text does not make a good impression on customers. Examples of well-used generalization can be found in the rendering of the Danish ved tryk eller stød (“by pressing or jolting”). The German translation conveys this as auf dem Transport (“in transit”) and the English says during shipment. Looking back, we can state that during transport and during shipment are generalizing translations which cover the reasons for damage mentioned in the source text. In this case, the German and English translators did not lose anything they would have to recover by looking back. We also see specification, the opposite of generalization, in the information that the customer is told to provide in case of a complaint. In the English, French, and Spanish they are told to write the name of the product, where it was bought, and when. However, the Danish original and the German translation simply ask the reader to refer to the form, which specifies the details that are needed anyway. It is possible that the English translator added the extra information in order to adjust the length of the text to match that of the other texts; however, the Spanish translator would have been better off omitting the extra information and using the remaining space to complete the last sentence, which is left unfinished. In conclusion, you may have a tendency to creep towards the culture hurdle and risk getting stuck right in front of it, instead of leaping across it. The next time you start a translation, why not make the jump across and have a look around in the target culture, adjusting your text to the models that are already there? However, don’t forget to make sure that you really took the whole message with you! Good luck!